Are simple filters and stuff not enough for you when it comes to pictures you take with your smartphone? Adobe has come through with a big win for you photoshop fans, Photoshop Touch, now specifically built for phones. Photoshop Touch has been available for tablets for a little over a year. Now, this tidy app brings great features to your handset, sharing most with the tablet version. 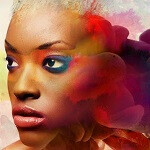 Work with layers, apply direct and precise tones or turn everything artsy with painting effects. You can also apply text and use your device’s camera to fill in an area on a layer you designate with the “Camera Fill” feature. Of course, it would not be Photoshop if you could not combine different images. If you use the desktop program you can start a project on one device and finish it on another. You also get a free membership to Adobe Creative Cloud which provides 2GB of free storage. Your projects are synchronized between your devices too. The app allows you to import pictures to be worked on, photos up to 12MP are supported. This application will work well with the high resolution displays of the latest batch of smartphones. If you are running iOS 6.x (iPhone 4S or 5) or Android 4.x, then Photoshop Touch for phones is available to you for only $4.99 and can be found in iTunes and Google Play right now. Now ugly girls can become beautiful right after they take a SHOT! Wow funny world! If they know how to photoshop..
For the app to reach it's full potential, the larger the screen, the better. And those with stylus' will have an added precision! So.... which one would work for the Asus PadFone?! (either one, 1, 2 or Infinity) Photoshop for phones or for tablet?